“Old Friends” – Desperate to repair his friendship with Tyler, Kevin enlists the help of Kristin to pull off a grand gesture to win him back. While working to do so, his relationship with Kristin deepens, and they meet a mysterious, strange duo who are hiding out in the middle of nowhere (guest stars Bret Harrison and Tyler Labine, reprising their “Reaper” roles). 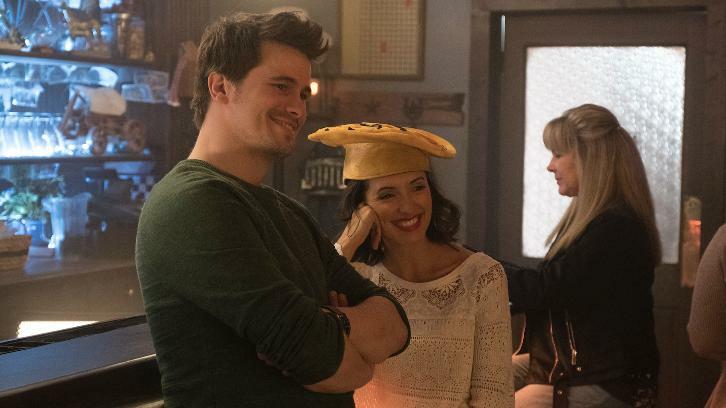 At the same time, Kevin tries to help Marc, a young man who has left home in search of adventure; and Yvette and Dave continue to struggle with human tendencies, on ”Kevin (Probably) Saves the World,” TUESDAY, FEB. 20 (10:00–11:00 p.m. EST), on The ABC Television Network, streaming and on demand.